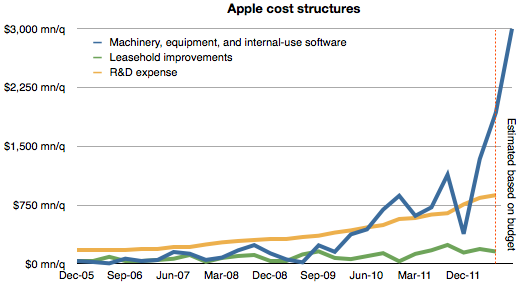 As discussed previously, spending on machinery and equipment has shown a strong correlation with the output of iOS devices in the following quarters. 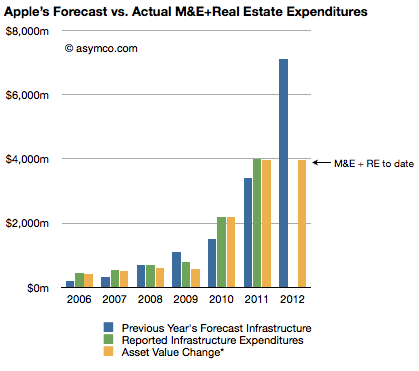 The following chart shows the superposition of M&E spending in a given quarter and iOS output in the following quarter. Note that due to the time-shifting the Expenditure for FQ3 does not have a corresponding output–expected in FQ4–and that FQ4 expenditure is estimated based on budget. 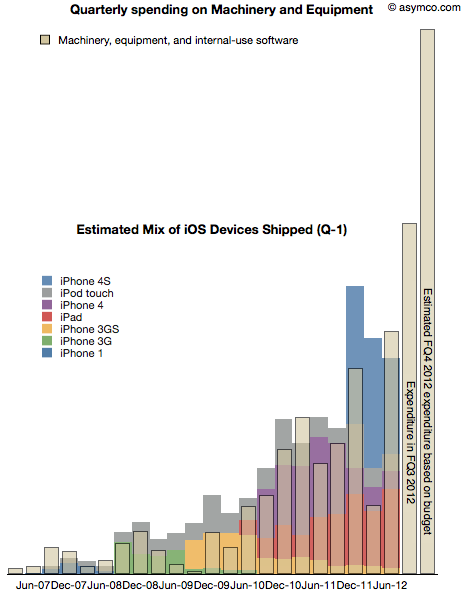 With this data in place, we can now begin to answer the question of what are the total iOS device shipments expected in the current (ending September) and the following (ending December) quarters. 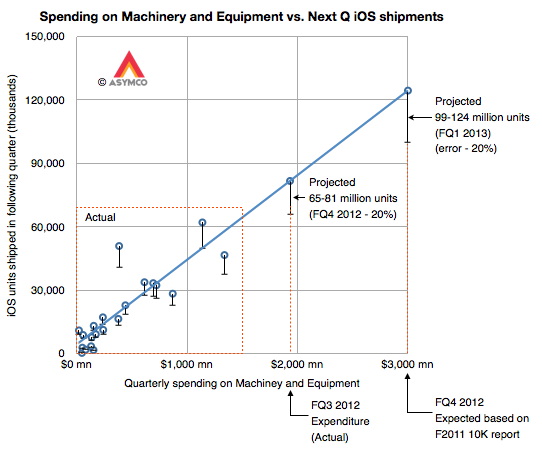 It shows the same data but as an X-Y scatter plot where the X axis is quarterly spending and the Y axis is iOS unit shipments. Note that the actual data points are in the lower left area delineated with a dashed red rectangle. I drew the blue line corresponding to an assumed linear relationship between the two variables to project the iOS output based on additional expenditures for FQ3 and FQ4. I used error bars of -20% to show a possible conservative range. This yields an iOS output of approximately between 65 and 80 million units in the current quarter and 100 to 125 million in the fourth calendar quarter. The sum of the low ends of this estimate is 165 million units. My current forecast is 53 million units in CQ3 and 110 million units in CQ4 which, together, add up 163 million. Close enough. Stay tuned for a padcast report with more details on this approach. 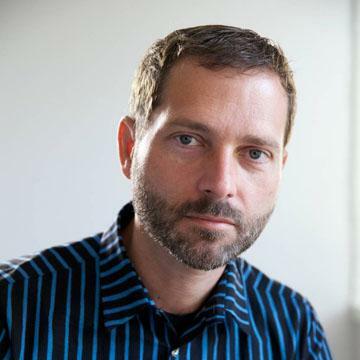 The company spent $31 million, $66 million and $159 million for the first three quarters on Land and buildings. $200 million in the fourth quarter seems reasonable unless there is a pending large land deal closing in the next two months. I added leasehold improvements as a proxy for store openings and R&D expense as a proxy for overall product development. These are in contrast to expenditures for product production and support which are represented by Machinery and Capital Equipment.